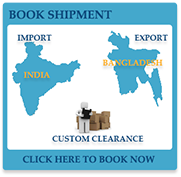 KB Global Carriers was established with the vision of bridging the gap between India and Bangladesh. The tremendous potential for growth in trade between India and Bangladesh was recognised by a young Mr. Kamal Bajoria in 1972, immediately after Bangladesh’s inception. Born and brought up in Kolkata, Mr. Kamal Bajoria has always been keen on expanding trade between India & Bangladesh. After 15 years of daily visits to the Indo-Bangladesh border earlier in his life, he moved to Mumbai. With a vision to provide high quality services, he has established himself as a well known figure in the transport industry over the last three decades. His mastery over the nuances of the industry has been appreciated by several exporters, clearing agents and the customs departments. Having spent his entire working life in this industry, he has developed a good rapport with experts on all levels of management in corporates, customs department & clearing agents in the industry irrespective of their clientele status with KB Global. "Since 1972, I am dedicated to provide India's best transportation & logistics solutions for Bangladesh. Achieving this through a combination of highly skilled & experienced personnel, I have helped my clients in every way possible, by providing high-quality services." - Mr. Kamal Kumar Bajoria. 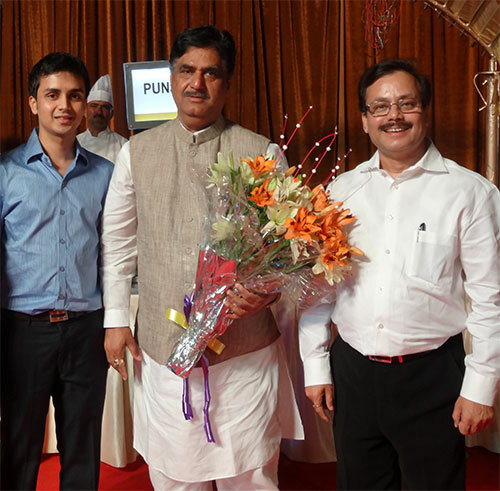 Honorable Shri Gopinath Munde, Member of the Indian Parliament, Deputy Leader of the BJP in the Lok Sabha (Union Cabinet Minister, Government of India) in conversation with Mr. Kamal Bajoria, and his son Mr. Karan Bajoria discussing ways to increase trade between India and Bangladesh.